Chloe, my almost 19 month old toddler taking a break from playing to lay in my arms and nurse. I truly cherish these sweet moments with her, as I know one day they will come to an end. * Linking up with the lovely Jodi for The 52 Project. Sweet moment with your sweet one. i so wish i was able to nurse natalie for longer than i did. such sweet moments! Wow I bet that was such an emotional time for both of you, but that's amazing you were able to make it for so long. We are actually going to be starting the weaning process very soon, but I know once its over I am going to really miss nursing Chloe. I love love love this photo, such a special moment. I hope to post a breastfeeding photo in my 52 too, it is just a bit tricky getting the photo right - I can never seem snap it as I see it. I love this and i love nursing. It flies by so quickly, i miss feeding my little darling and staring down at her. These are precious moments to capture that's for sure. She is beautiful. Thank you! Breastfeeding is truly such a beautiful experience, I know once it's over I'm really going to miss it. Looks like our little ones are about the same age! Its a very sweet age! Yes I love this age, so sweet and curious about everything! Stumbled upon your blog through another and find you're doing the 52 project too! My google reader is full of bloggers doing it and it's such a nice way to watch everyone's babies grow up! Oh yay glad you found me! 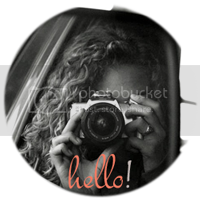 I'm having so much fun with the 52 project, I'll have to go check out your blog too! Thank you for becoming a new follower Katie! Stopping by from the blog hop. Love the blog design and the picture a week is so sweet and I am sure your daughter will love looking at these pictures throughout her life! Thank you Shannon for stopping by and becoming a new follower. That is my hope that my daughter will love looking through this blog and all the pictures of her growing up! Beautiful photo, well done both of you to still be going at 19 months. Thank you, I feel very grateful for that! xo Hope you have a wonderful week! I found your blog through the blog hop and your photos are great:) Enjoy your week! Thank you Carissa for you sweet comment and for becoming a new follower! Thanks for becoming a new follower! Oh Jennifer this is such a precious photo! Chloe looks very focused on her Mama, with loving eyes. This photo will become a treasured shot in years to come. I am still feeding my toddler, which has been a very different experience to my first born who stopped at 13 months. Thanks for stopping by my blog - I really appreciate it! Awww...I love that you used a nursing photo! I should do the same with my 18 month old. I don't have nearly enough photos of my daughter nursing and I'm trying to make an effort to record things better this time around. Beautiful shot! Thank you Mary! You should, I think nursing pictures are so beautiful! I am so glad I have a few pictures of Chloe nursing! Aw thank you Sharlene! Congrats and baby # 2, how exciting!